There are plenty rites of passage in life like going to prom, having your first drink, and getting married. But none of those are as impactful as having a child – a little bundle of joy to call your very own. It’s a wonderful thing and well worth celebrating, but sometimes that celebratory intention can be misguided to say the least. 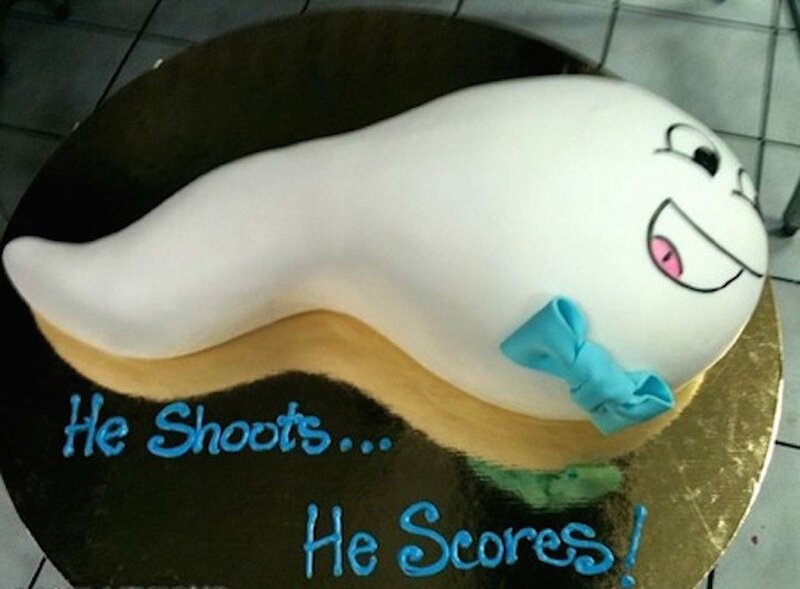 Here are just a few baby shower cakes with bizarre, creepy, and completely absent senses of humor. Once the child is born, the Cat in the Hat definitely belongs in its life. But until then, he should probably stay on the bookshelf and out of the delivery room. If you’re having a baby, you already know how the whole baby-making process works. But apparently, a man with a wily sense of humor thinks baby shower attendees need a reminder. Most people like to play silly little games and give gifts like diaper bags and onesies at their baby showers. Other people, it seems, like to bask in the more gruesome aspects of childbirth. 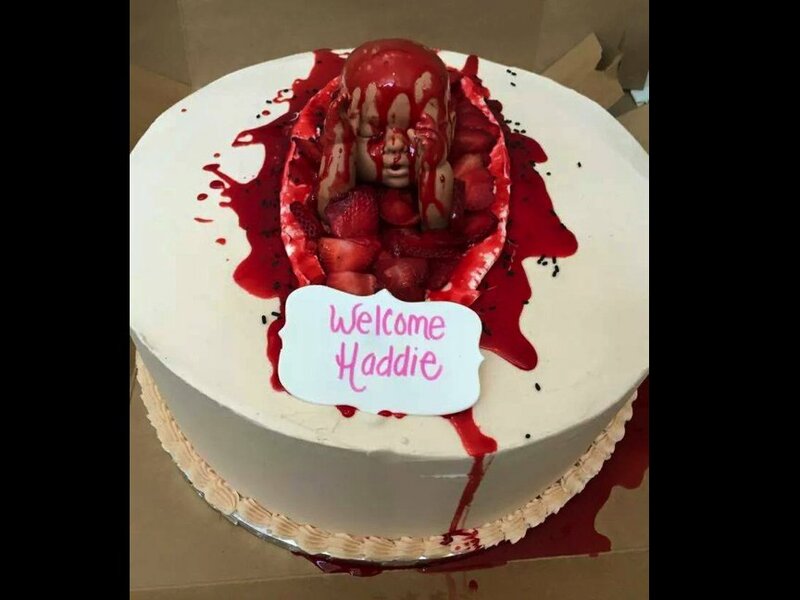 When you take a good look at this cake, you can kind of see that it could have been a pleasant looking party treat. 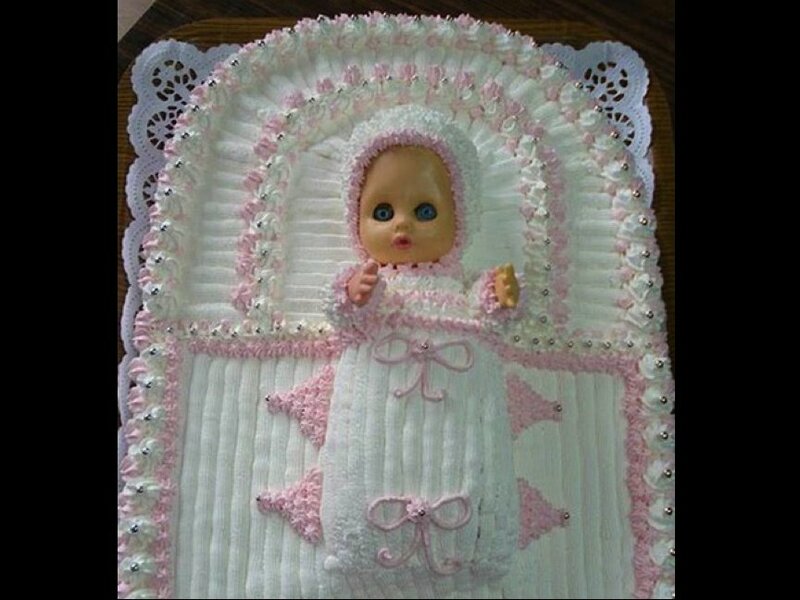 But then you see the baby doll version of one of those demon kids from Village of the Damned and you’re instantly put off your appetite.